Mr. Annan’s book: “We the Peoples: A UN for the Twenty-First Century” has now been released. During his momentous time as Secretary-General of the UN, Kofi Annan played a decisive role in launching the Millennium Development Goals, establishing the International Criminal Court, and creating the Global Compact. In 2001, Kofi Annan and the UN jointly received the Nobel Peace Prize “for their work for a better organized and more peaceful world.” These and other crucial events are encapsulated in this book of Kofi Annan’s key speeches throughout his term of office. These highlights have been carefully selected, edited, and introduced to give a broad view of Annan’s most pressing concerns—and the eloquence with which he addressed them. Covering subjects from development, health, and climate change to the prevention of genocide and the ideal of diversity, these statements show how deeply involved the UN was in the most important issues of the era. 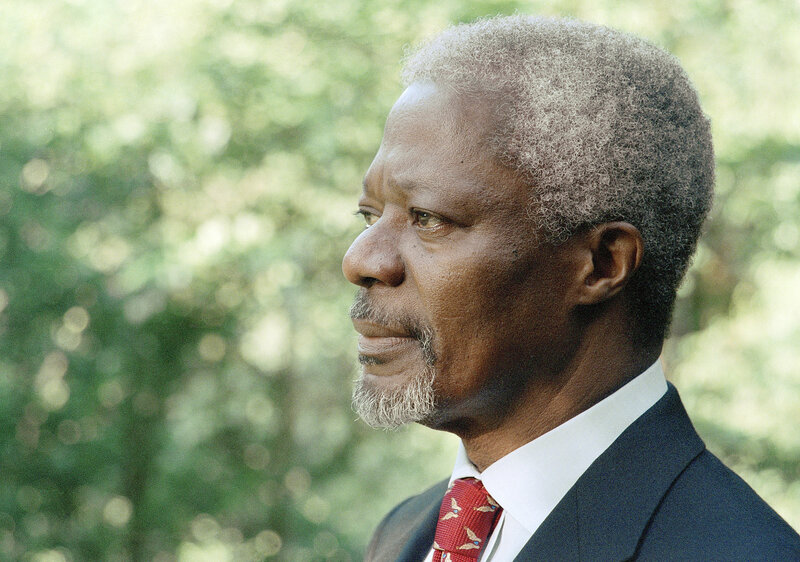 In them, Annan poignantly addresses not just political leaders and diplomats, but the individuals he considers emblematic of the dilemmas the world faces. Separate chapters on Africa and the Middle East reveal Annan’s special concern with some of the world’s biggest challenges, ongoing in an era of crises in Syria, Egypt, and beyond. “We the Peoples” reminds us how his ideas and priorities were incubated and, indeed, proclaimed. His words on war, peace, humanity, and “man’s inhumanity to man” still resonate in many ways—and offer many pointers for maintaining and developing the UN as a vital instrument for humanity in the coming decades. The book is available for purchase at the website of Routledge publishers.